I’m going to make this a quick post (ok maybe not!). It’s something I’ve been wanting to talk about for a while now. Let me give you a little context. I used to solely talk about beauty on my platforms. 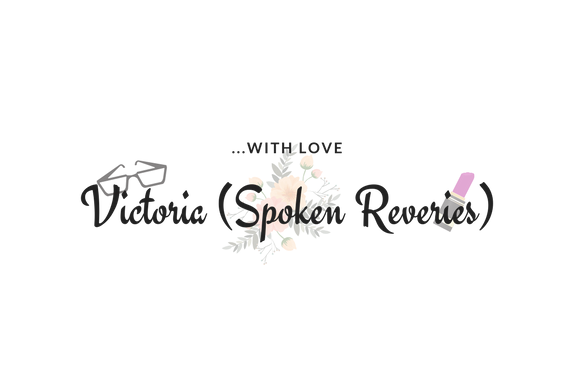 In fact my beauty blogging name and youtube name used to be BeautyBreakswithVicky. Nearly a year ago I decided to change it all. I’d become quite disheartened with the beauty community and my heart just wasn’t in it completely anymore. Now alongside what’s happening in the community among bloggers, we also have the issue of brands themselves. As someone with a dark skin tone, I’ve always found it a challenge to find brands that cater for my skin tone. Nowadays brands are becoming more ‘aware’ of the issues and providing a wider shade range but the issue lies much deeper. I’ve found that beauty blogging as someone with a darker skin tone has opened my eyes to the lack of opportunities I’m presented with. Beauty brands would either choose to send their new releases to everyone but black bloggers (or if they do a small handful) or when they do the PR sample may be quite different to what others receive. Also when it comes to brand trips, the bloggers that are chosen are always the same ‘type’. It just became – well boring. I personally am over whether or not I receive PR packages, and to be honest that’s not the main message of this post. It’s to do with the inequalities presented in the community. It leaves me quite disheartened, as even though I see some changes, at the heart of it, everything remains the same. I’ve found that for me to be truly happy in blogging, I needed to diversify my content and write about things that truly make me happy. If you’re familiar with my content then you’ll know that I still love to write about beauty, but that’s not my main focus. I love to write posts that reflect my true thoughts and also hopefully encourage and help others. In the future I’d love to see a change and would love to witness more and more successful bloggers from a range of different backgrounds. But whilst certain parts of the community are not being ‘celebrated’ or maybe not even acknowledged I think it’s time to take up the mentality of truly being your own cheerleader. I know I’ve talked about beauty blogging but this happens in any community. I truly believe that if something is making you unhappy you should change it. Be the change that you would like to see. I haven’t completely given up on the beauty community, as I think it’s important to have a voice where the representation needs to be strengthened. But at the same time I’ve distanced myself from all that brings negative vibes into the community, and show support to those that show positivity and progression. Be you and stay focused and positive. Your hard work and authenticity will definitely show. Let me know your thoughts on things you may have noticed in your own online community! To see some more thoughts I’ve shared on beauty blogging, check out this post here! I agree. What starts of as a hobby (like me) turned into what felt like a competition. You see the same brands over and over again and it’s boring. What’s worse is people I see buying followers and pitching to brands, the brands quickly look at their following and they get a deal yet hard-working bloggers with genuine followers don’t get one. Hope this and the problems you mention change ASAP! It’s sad to know beauty product were suppose to make you feel beautiful about yourself but now people are using them just for marketing purpose. Nice article. Loved this post it’s really well written and deals with some important issues, I definitely agree that there are issues with authenticity within the beauty blogging community and it’s such a shame! I agree with you totally. The blogging community has changed considerably since I started out ten years ago. I guess that goes with the territory when a sector becomes commercial. However, what worries me is the inequality within the blogging field. Despite the huge talk about diversity we see seem to slip under the radar, are ignored or treated as a burden by some PRs. It’s a real shame considering that blogging is a very creative thing that can bring about some wonderful content. I totally agree, it can become very competitive and playground like. I think it’s inportant to know why you’re blogging, if it’s because you enjoy it and you’re genuine, it’s easier to ignore that side of the blogging community. If you’re in it for gain and reward and blogging is a chore to you then it won’t last, readers will sense it and PR’s will eventually realise it too. Oh, I so agree. I actually shifted the focus of one of my blogs (for 40something women) because of the trolling. I never realized how many negative people exist until I started beauty blogging for women over 40. Now, that blog focuses more on middle age weight loss. So sad. I’m glad you’re still doing it and doing so well. It seems to be something you’re passionate about writing (I wasn’t), so you keep going. Totally agree with you! I love reading beauty blogs and learn more about beauty tips and product reviews. If you want change, be the change! Change is such a hard thing to do, and good on you for giving it a go! I’m going to be making some big changes in my life soon too, so I know how you feel. I have never been great with beauty, but I’m starting to explore different products and I know that the online world has helped me immensely to figure this out, and I’ve tried to make sure I source a wide variety of contributors to make my ‘research’ more rounded. I hope you find the change you are seeking! People like you who blog with authenticity will always be on top of the others you have just mentioned. To be honest, the way you post has full honesty in it and that would not even be at par. Although I have never been completely serious (nor knowledgeable) about blogging, I quite enjoy doing it. People who just do it for mockery won’t last. It’s annoying I know and this is a good rant. But don’t worry about them. They’re just stressing themselves. There are many bloggers who over time change direction or rebrand. You are not alone. Wherever path you take, hope you will find meaning and many followers. Things have changed and will continue to do so in the world of blogging, and beauty for that matter. I think where ever we are and whatever we do do we should always be positive. A positive outlook goes along way and a kind word is often the only encouragement a person needs to thrive, even those who put out the negative vibe. Be true to who you are and what you think! I’m quite a new blogger, only just had my first anniversary and the idea of authenticity does worry me. I try not to be negative about brands but will be honest. I’ve been reading blogs for years and a few that I used to follow, I’ve had to stop as all they ever did was rave about products when I knew myself they were awful!! It takes a very strong person to change when they see things around them they don’t like. People have a habit of doing the easy thing and following the pack. Good for you! I totally relate to this. Although I am a parent blogger I find the negativity and the bitchiness unbearable at times. It actually really gets me down, its hard to distance yourself from it! I can relate with your post. The blogging community has changed from how it was a few years ago. It does annoy me. I honestly couldn’t agree more with what you said. It’s really sad how the beauty community has become so skewed. I wish there was more diversity and celebration of that diversity. I’d love to see brands start to pay attention to inclusiveness. I’d like for brand trips to lessen because frankly I can’t be certain an influencer is going to not be swayed by the luxury of that lifestyle to give a 100% raw honest opinion over a product or even brand. You are so right about the equality point. Something that any beauty blogger can face. I really enjoyed reading this post and your perspective. I completely agree with you. It’s very hard to find authenticity these days, a lot of people are motivated by money and page views, not necessarily genuine thoughts or feelings. I understand what you are saying here. It’s sad that they wouldn’t have a wider range of types. If they want to reach out to all kinds of people they should have all different kinds of people that promote their product. I completely agree with the lack of authenticity in Beauty Blogging. I used to love reading about products that real people use and can afford, now I feel like most of the blogs I tune into are promoting products so far out of the regular persons reach. It’s such a shame. A very insightful post. You raise some important issues! A really interesting read and one that I am glad I cam across. Brands dont cater for many skin tones and plus they seem to have a certain blogger who they follow, no diversity which is a shame as not everyone is the same complexion. Frankly, its not much different in the parent blogger sector either. I’ve been blogging for seven years I’ve seen bloggers come, go and others rise. It feels like you need to be young, cute, controversial or all of the above to get notices. Frankly, I do it for the fun and the chance to express myself and share my thoughts with liked minded people.